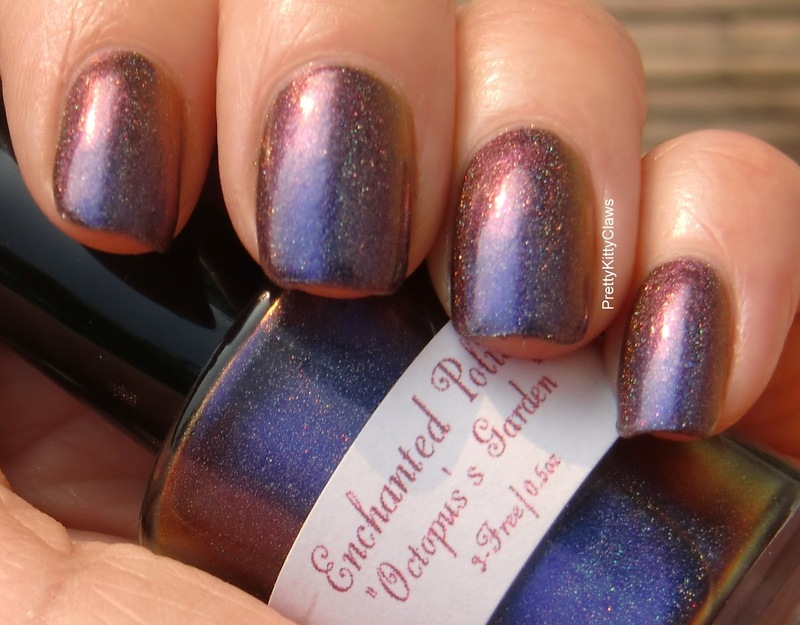 Now I know I must be behind the times, and I do have a lack of knowledge on the indie front, oh and I hate staying up till 2am clicking refresh on Etsy only to find that the polish has jumped out of my cart.... so I'm glad I only found out about these when Llarowe stated stocking them. On to the polish. It is beautiful. It is part of the Beetles Collection and is described as a multichrome, holographic polish which flashes dark purple to magenta to orange. Well, I'm not sure I saw those colours, more like dark purple, dark blue and a dark magenta. I did see a bit of orange in the bottle but not on my nails, which really doesn't matter as I don't know if I could handle any more! 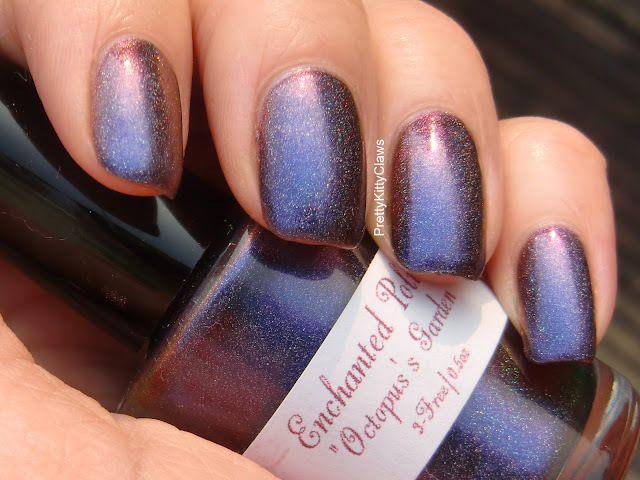 I couldn't get the multichrome effect and the holo to come out at the same time either but that's because the sunlight brings out the holo but is too strong for the multichrome, anyway it really doesn't matter, it's gorgeous in every light. 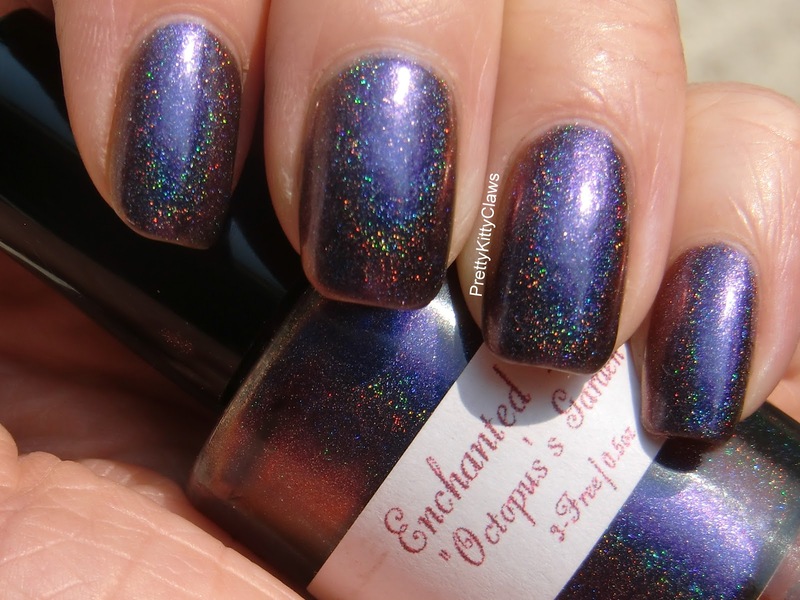 I ordered Across The Universe in the Llarowe sale last week and I can't wait for it to get here, I think I might need them all!